Churrios is the newest addition in the delicious Milkman line of vape juice. 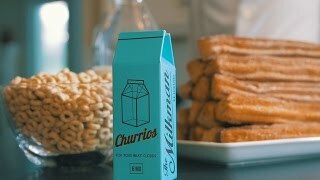 Churrios masterfully blends the flavors of a decadent, warm, fluffy churro topped with cinnamon sugar with creamy fresh milk. Once again delivering the vaping perfection we've come to expect from The Milkman. Churrios is a tantalizingly complex vape. Like the milkman it bridges the gap between breakfast cereal flavors and dessert flavors. This is a truly sensational and well balanced flavor. Available in a MAX VG vape blend in 30ml bottles. Churrios is an amazingly delicious e-liquid you certainly won't want to miss.